You need some basic equipment to start cooking — essential items for working in the kitchen. Here’s a short list of all-I-can-spend-now cooking equipment, including pots, pans, and other tools that no home cook should be without. 10-inch nonstick frying pan: The all-around pan for sautéing and more. 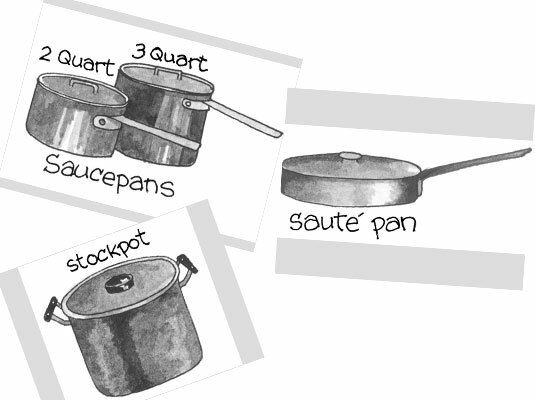 3-quart saucepan: For cooking things such as vegetables and soups. 10-quart stockpot with lid: For making stocks or large quantities of soup, pasta, and vegetables. Heavy-duty roasting pan: Roasting pans have high sides to keep in all those juices that you can use to make gravy. 10-inch chef’s knife: You can perform more than 80 percent of all cutting and slicing chores with this knife. 9- to 12-inch serrated bread knife: Invaluable for cutting slices of fresh bread without squishing the loaf. 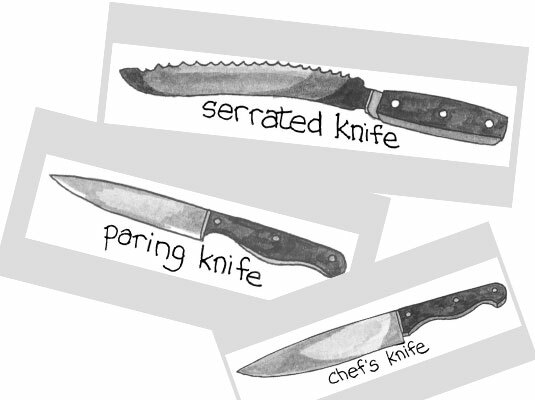 Paring knife: For peeling, coring, and carving garnishes from vegetables and fruits. Liquid and dry measuring cups and measuring spoons: So you don’t botch up recipes by using too much or too little of something. Mesh strainer: This tool is essential for certain sauces, pastas, salads, and soups. Vegetable peeler, heatproof rubber spatula, and a few wooden spoons of varying sizes: These basics have many uses.